TART operates from 6am - 7pm seven days a week. No service Christmas Day. Tahoe Area Regional Transiton (TART) offers affordable public transportation and North Lake Tahoe Shuttle services year round. TART bus schedule for North Lake Tahoe / Truckee - route maps, fares and more information are available online. Lake Tahoe TART can mail schedules upon request and provide help with travel planning. During the summer, TART bus Lake Tahoe offers free night trolley route between Squaw Valley, Crystal Bay and Incline Village. HoursTART operates from 6am - 7pm seven days a week. No service Christmas Day. 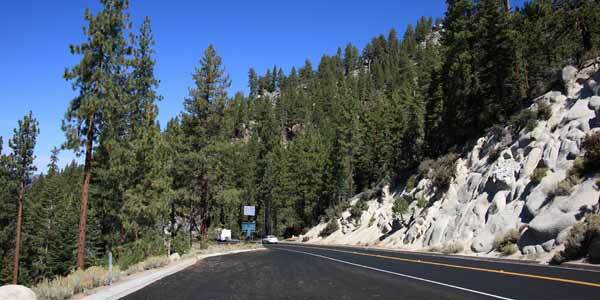 Features: TART Bus Lake Tahoe provides a few routes for visitors and locals to conveniently travel about the city. TART's Mainline Route takes riders around shoreline communities including Tahoma, Homewood, Tahoe City, Kings Beach and Incline Village. The Hwy. 89 Route provides service between Tahoe City, Truckee and Squaw Valley. For more information about exact times or the TART Bus schedule for Lake Tahoe, please check online. Know Before You Go: Lake Tahoe TART provides very affordable fare rates, $1.75 one way for the general public. Seniors (60 years and older), youth (6-12 years) can ride aboard a TART Bus Lake Tahoe for only $0.85. Children less than 5-years-old ride free with a paying adult and Medicare card holders are eligible for half-price fare. Rider Etiquette: A few simple rules riders should follow on the TART Bus Lake Tahoe include NO smoking, food or drinks, loud noises or pets are allowed. Bikes On Board: Each TART Bus Lake Tahoe has a front mounted bike rack and can fit three to four bikes. Riders must be able to load and unload bikes themselves without help. Due to safety precautions, bikes are not allowed inside the bus. Connections & Other Transportation Services: Lake Tahoe Tart can also connect passengers to other transportation services including the Greyhound and Amtrak at the Truckee Depot.